Being multilingual is so valuable — not just for personal development, although it certainly has a long list of benefits there — but also for any business looking to expand and increase revenue. Believe it or not, only 25% of Americans speak more than one language. Compare that to 56% of Europeans, and it becomes pretty clear that the U.S. still has some catching up to do in the polyglot department. Why, exactly, is the U.S. workforce still largely monolingual? You guessed it — English is still considered the global language of business. This makes many companies hesitate to invest in language training as part of their professional development offerings. One look at the statistics might change their minds, though: experts at the U.S. Committee on Economic Development estimate that American companies lose over $2 billion every year due to language or cultural misunderstandings. In order to get that $2 billion back, investing in corporate language training is a must. Besides opening doors to new business opportunities around the world, giving employees access to a language program provides them with the crucial intercultural communication skills they need to succeed. Here are a few reasons why that investment is 100% worth it. As a business leader, you’re already tactful, charismatic, and a good negotiator. Language learning provides that extra oomph to take those leadership skills to the next level. Not only will you be able to secure new partnerships on your home turf, you’ll have the training necessary to work closely with with top business leaders around the world. Just ask Richard Wagoner, former President and CEO of General Motors: while on assignment in Brazil, learning Portuguese to supplement his training allowed him to communicate with the Brazilian business community. Doing so significantly increased his effectiveness as a leader while there. Similarly, according to Coca-Cola CEO Douglas Daft, the culture and language skills he gained while working in Asia for over three decades profoundly enhanced his ability to lead the company. Speaking multiple languages, especially from an early age, can even activate special networks in your brain responsible for building leadership qualities. In a 2009 study, bilingual children proved to be higher scorers on certain cognitive tests requiring the use of “CEO networks” — those that regulate functions such as decision making, goal setting, achievement, and memory. It’s no wonder polyglots make such strong leaders. Don’t underestimate the power of foreign consumers for shaping business growth. The U.S. holds less than 5% of the world’s population, meaning that your next big business opportunity may very well be waiting overseas. The best way to chase down that opportunity and join the global trade market? Dive into a language course, and fast! While U.S. companies have conducted a higher percentage of domestic business in the past, trade these days is shifting to different parts of the world — and it’s not looking back. In fact, studies show that U.S. trade with Asia approached $800 billion annually as of 2006. Not to mention that many international firms manufacture their products on U.S. soil, increasing competition with U.S. markets. All this goes to show that becoming globally competent through language and culture training is crucial to keep up with the changing business market. One of our favorite things about language learning is how it brings different people together — oftentimes people with diverse backgrounds, worldviews, and traditions. Speaking another person’s native language can be the first step in establishing a strong foundation for a long-lasting relationship, which is particularly important when doing business abroad. By showing someone that you care about them on both a professional and personal level, you build trust and create new possibilities for business growth on both ends. A great example of language learning as a relationship builder comes from language expert and CEO of BRIC Language Systems, Ryan McMunn. By learning Mandarin Chinese, McMunn was able to better connect with Chinese executives, opening up new business opportunities. After building a strong relationship with a Chinese factory owner via conversations exclusively in Mandarin, McMunn helped the owner’s son get into a U.S. school. The factory owner then introduced him to his network of business leaders around China. Because they approached their relationship as a partnership, it ultimately resulted in better relations (and a huge growth in customers for both businesses!) Without McMunn’s knowledge of Mandarin, this achievement would have been much more difficult — maybe even impossible. Want to improve your own connections with Chinese partners or potential clients? Check out these six essential Mandarin business phrases. We know language learning can work wonders for economic growth, but what’s in it for companies and employers who aren’t looking to branch out internationally? Why invest the time and money it takes to train employees in some of the high-demand languages like Spanish, Mandarin or German? Two words: employer brand. Your employer brand is what helps attract and retain the right type of talent for your company. Positive employer brand attributes like benefits, rewards, and opportunity for career development increase the number of suitable applicants for a job opening. 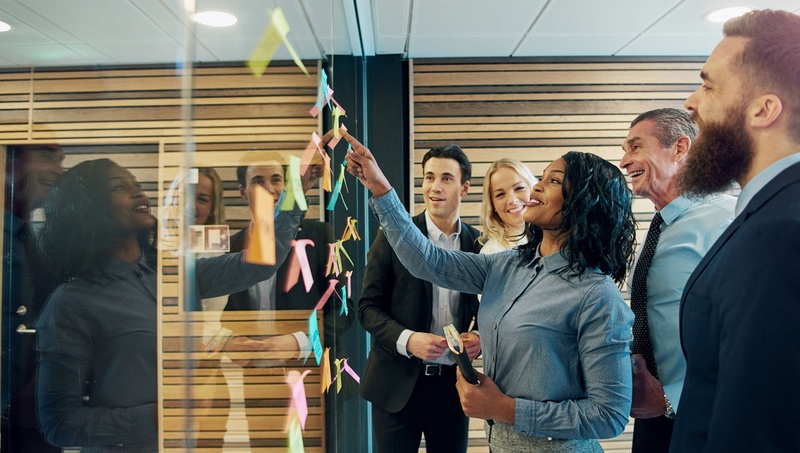 Position your organization as one that supports employee growth through benefits like offering language-learning resources to employees, and it won’t be hard to attract the driven, go-getters you want on your team to help drive innovation in your field. Providing your employees with educational opportunities will do more than just help you hire the best people for the job — an empathetic employer brand also helps boost company loyalty and employee retention rates, ensuring those superstars you hired stick around. Considering the ESL needs of employees from different countries is also key in making sure team members are set up for success at your company. Plus, employers and employees alike are sure to appreciate the cognitive benefits of learning another language, as well as the improvement in cross-cultural communication that language learning affords, providing opportunities for team members from different cultural backgrounds to connect more effectively. Whether your company could use more Spanish, Mandarin, Russian, or French speakers, Mango Languages is a business-friendly tool designed for the busiest professionals out there. If you’re on the hunt for English courses, we’ve got over 20 (try Business English for Spanish speakers or Business English for Mandarin speakers). Or, if your company has assignees working internationally, download our white paper for some useful tips on ensuring a successful relocation for employees and their families. No matter which corner of the globe you do business in, we’ll provide the vocabulary, grammar, culture, and pronunciation skills you need to make it a rousing success. How have you benefited from language learning in a corporate climate? Let us know in the comments below!